Fig. 1. 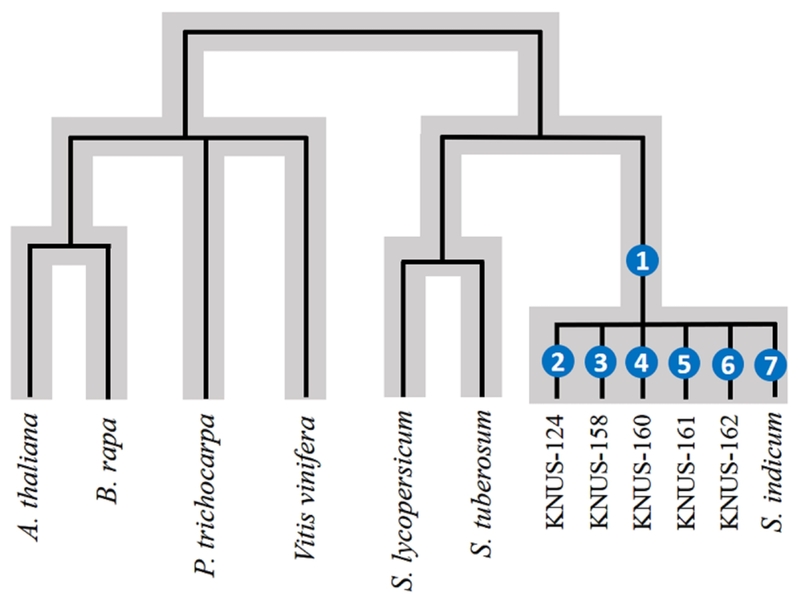 Branch model phylogenetic tree of 7 Pentapetalae plants and 5 Sesamum indicum accessions for the evolution analysis. Numbers in the brackets indicating the tested branches for adapted genes, (1) is for Sesamum indicum and (2)–(7) are for each core accessions. The grey color indicating the species tree.